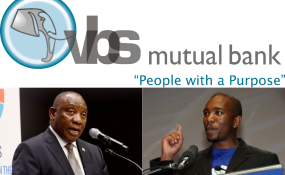 VhaVenda King Toni Mphephu Ramabulana will pay back the money he received from VBS Mutual Bank as "tainted gifts", his spokesperson said. On Wednesday, the SA Reserve Bank released a report titled "The Great Bank Heist", compiled by advocate Terry Motau and Werksmans Attorneys. It revealed large-scale plundering amounting to close to R2bn. Ramabulana was named as one of those who benefited from the largesse dished out by the bank's bosses. "The issue here is not about the king denying or not denying," his spokesperson, Makonde Mathivha, told broadcaster eNCA on Monday. "What is at issue here, is that there was corruption at the bank as reported. The name of the king was brought into association with that and the king is at pains, is feeling pain with his subjects who have lost money." He said the king was not aware that some of "these gifts and benefits that he received were received from sources which are tainted". Mathivha added that the king would sit down with the relevant authorities, break down what he received "from tainted sources", and determine an "arrangement to repay [that] which was received as a result of corruption". Meanwhile, News24 reported on Monday that the ANC's top 6 was meeting with officials from Limpopo after two of the province's top 5 were implicated in the explosive report. ANC Limpopo deputy chairperson Florence Radzilani and treasurer Danny Msiza are named in the report. In it, Msiza is labelled as a political influencer and fixer who got municipalities to invest in VBS.